Organizing the world's spatial information means benefiting from the collective knowledge and experiences of people around the globe. Making this information universally accessible enables you to discover the world and its places, not only as they are, but as you make them. That's why we now have the "Places" layer. 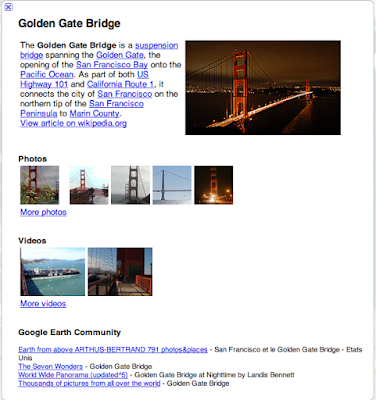 With this release, we've combined user-generated content from sources including Wikipedia, Panoramio, the Google Earth Community, and YouTube to create a single, multi-faceted layer. A single glance. Better understanding. Endless exploration. 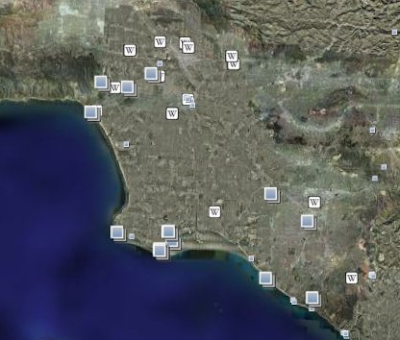 In the main Google Earth 3-D view, look for an icon that looks like a stack of photos to find a Place to explore. 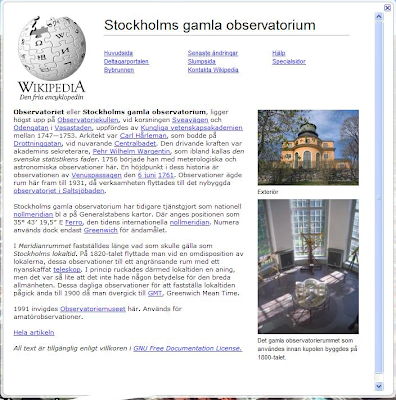 You'll notice that we've also changed the icon for Panoramio photos (now represented by a smaller photo stack) and Wikipedia (now represented by a "W").